For a very long time, I had this misconception that kadai paneer is called kadai paneer because it is prepared in a kadai.😆 Later I came to know that it is because of kadai masala😅. So let's start by preparing kadai masala! Dry roast 1 Tsp cumin seeds, 1 Tsp coriander seeds, dried red chillies until it is fragrant. Cool it a little then, grind it to a coarse powder. Kadai masala is ready! Keep it aside. 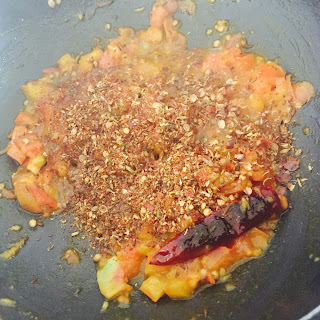 Add cumin seeds, coriander seeds and dried red chilli. Let it splutter. 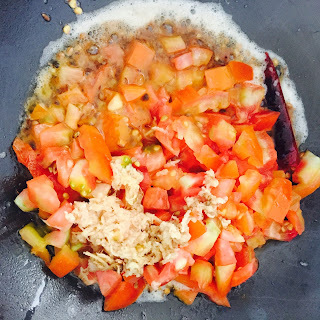 Add 2-3 chopped tomatoes and grated ginger. Sauté it for a min. Save one tomato. We will use it later. Add turmeric powder, red chilli powder and salt. Mix every thing well. 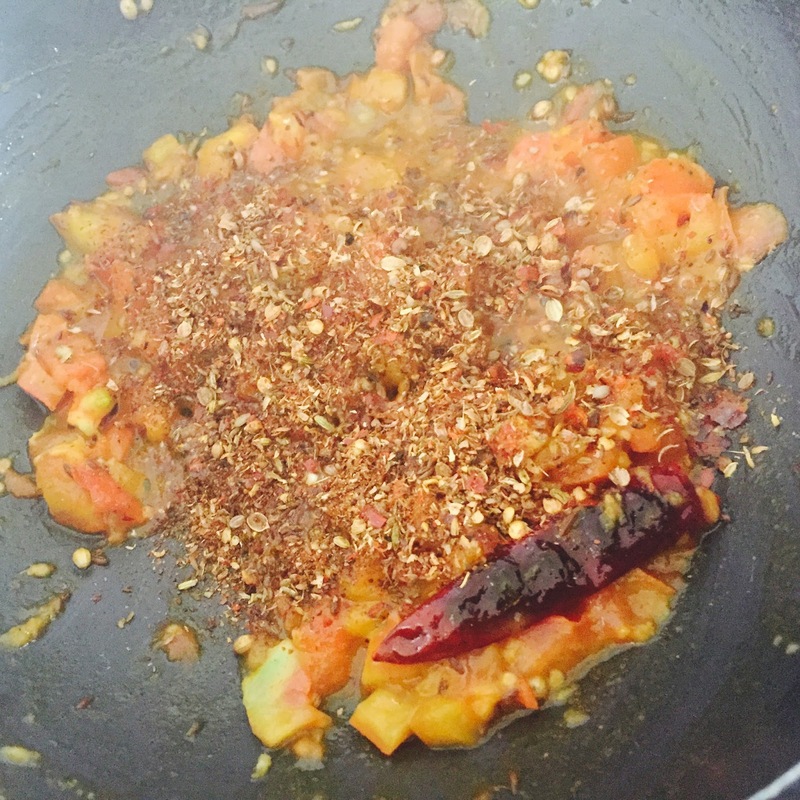 Add Kadai masala(prepared in step 2). Cover it and cook it on a low - medium flame until oil separates. Add diced tomatoes, onion, capsicum and paneer. Mix everything and cover it. Cook it for another 8-10 minutes on low flame. Kadai Paneer is ready! Garnish it with coriander leaves. Serve it hot with any of your favourite Indian bread. 1. Dry roast 1 teaspoon cumin seeds, 3/4th teaspoon coriander seeds, dried red chillies until it is fragrant. 3. Kadai Masala is ready! Keep it aside. Added cumin seeds and coriander seeds. 6. Add dried red chilli. 7. 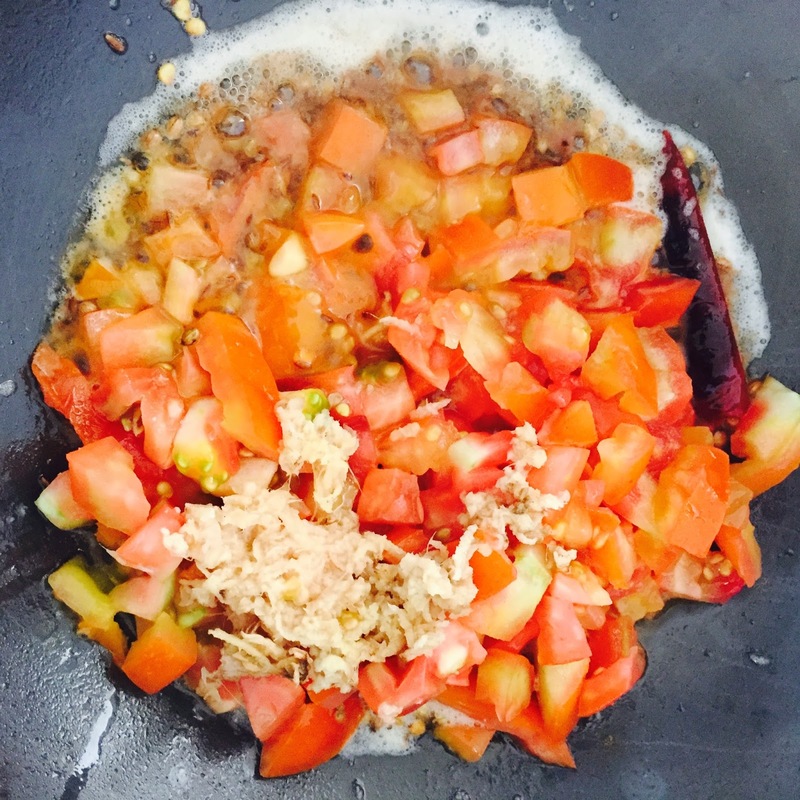 Add chopped tomatoes and grated ginger. 8. Add salt, turmeric powder and red chilli powder. Added salt, turmeric and red chilli powder. 9. 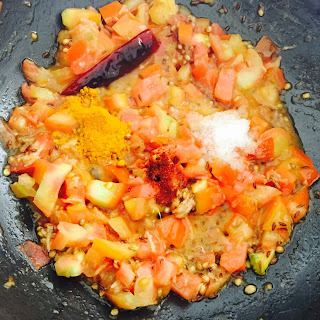 Add kadai masala. Saute it on low flame till oil separates. 10. Add diced tomato, capsicum, onions and paneer. Mix everything well and cook it on low flame for 10-12 minutes. Added diced Paneer, tomato, onion and capsicum. 11. 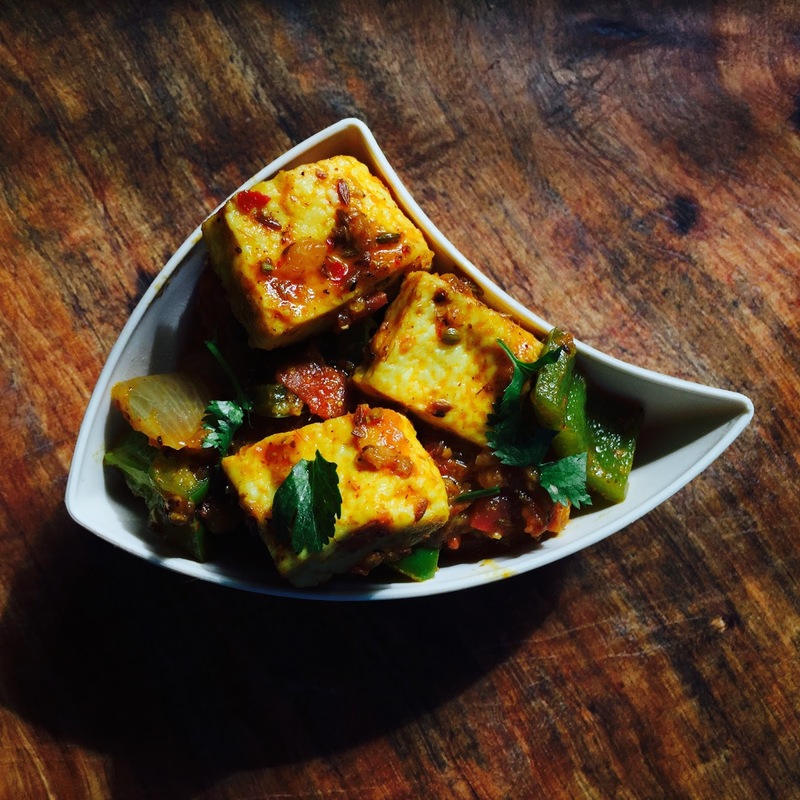 Kadai paneer is ready! Garnish it with coriander leaves. 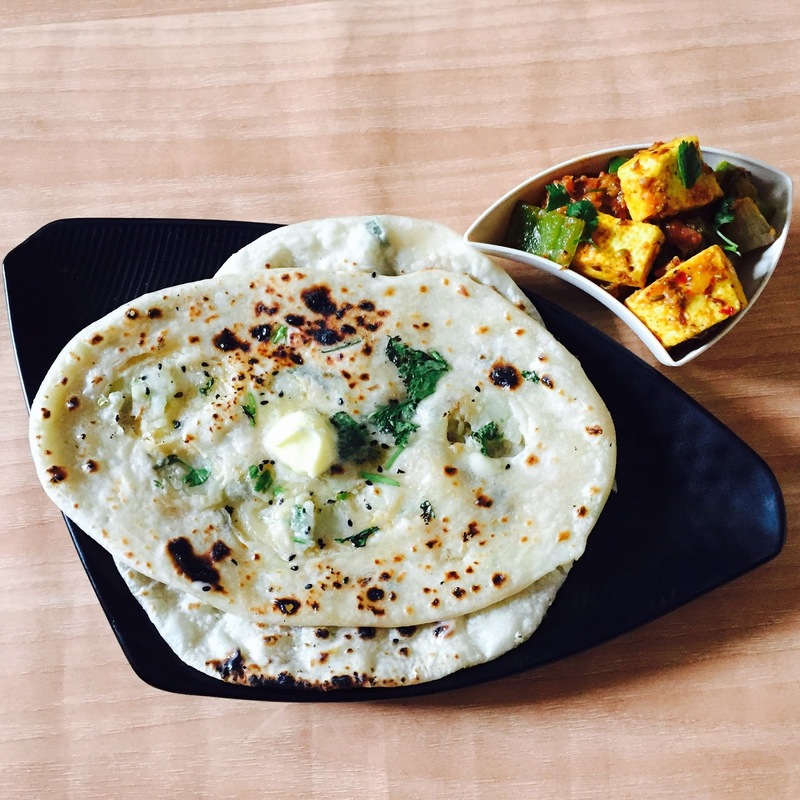 Serve it hot with kulcha or naan or tandoori roti or any Indian bread of your choice! Kadai Paneer served with Kulcha. Do try this recipe and share your feedback in the comment section below.